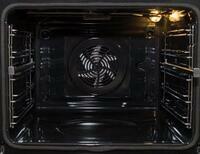 Primary Oven Capacity: 3.55 cu. 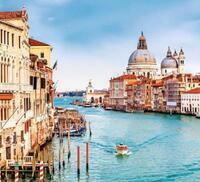 ft.
Bring a piece of Italy in to your life with an Italian style range. Outfit your kitchen with beauty, style and performance for modern to contemporary décor. It uses a fan to force air to circulate inside the oven enclosure, allowing the food inside to cook faster and more evenly and come out more browner. The versatile warming drawer has a broad range of settings that keep your food warm, proof dough, dehydrate, or even slow cook a variety of dishes. Make large meal servings faster with double ovens, bake different dishes at the same time with same or different settings to meeting your demands. 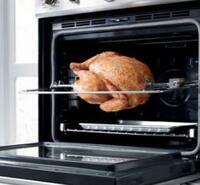 Get perfect, professional roasting using the electric rotisserie function option in both ovens. One of the best investment ever made for your kitchen if you love to cook like we do. This product with not disappoint anyone. We have really enjoyed this range. I was not sure what to expect, but have been more than pleased. This is a perfect range for a someone who likes to grill or cook multiple foods at the same time. This stove cook at just right temperature and everything come out just right, no matter what you cook. I got a great deal on the stove, and it has a nice clean finish to it. For the price I paid, the stove itself is very good, not a single problem with it yet, and my wife loves it. My husband surprised me with this beautiful range for our new kitchen. Very high in quality and works great. Bought it for my lady friend. Not bad at all for the price. The stove top is very easy to clean. Oven temperature is very accurate and works well. Would recommend. Burners burn nice and high. 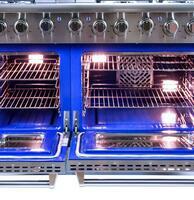 The oven preheats quickly and bakes accurately at both convection and normal. I love that this unit looks so lovely, but also works wonderfully. I don't cook that much but I appreciate how quickly it heats up. Great price, burners heat up quickly and a nice size. I do like the style and features of the range. 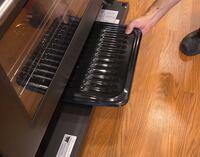 I purchased this Hallman oven as part of my new kitchen and am very happy with it. 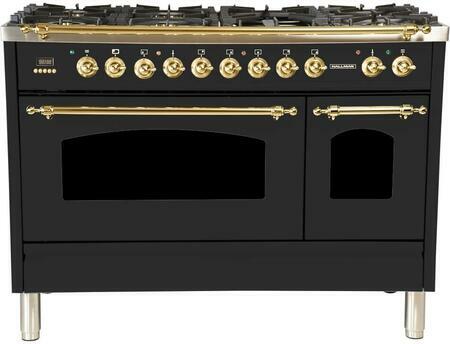 I have nothing bad to say about this range love that it has 7 burners, one for warming and one for quick boil. Bought this for our new home. I love cooking with Dual Fuel Very excited to have it. cooking is enjoyable with this stove. Flame is on point for all the burners. Working quite well.